In between redecorating my land and home, gardening and a photoshoot….I also had some time today to explore a sim I have had on my list for a while! 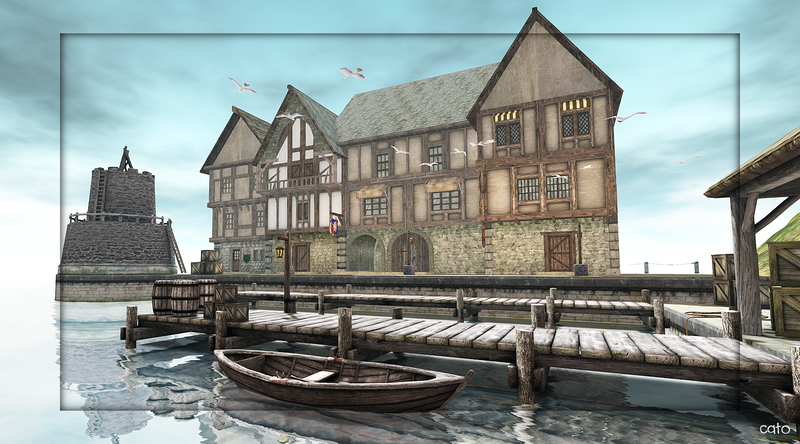 Morphe Northwinds is one of the two home sims of Morphe Inc., specialised in medieval building and all medieval products you need for a roleplay or a themed home. 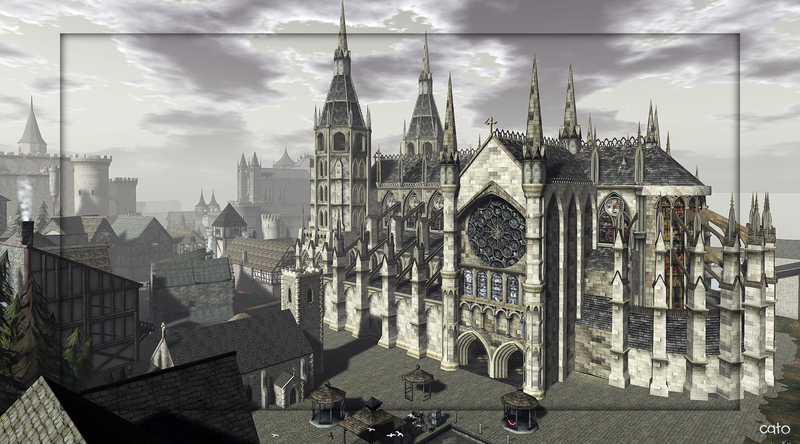 It is also the home of, well I think so, the largest Cathedral in Second Life: The St. Illuminatios Cathedral. 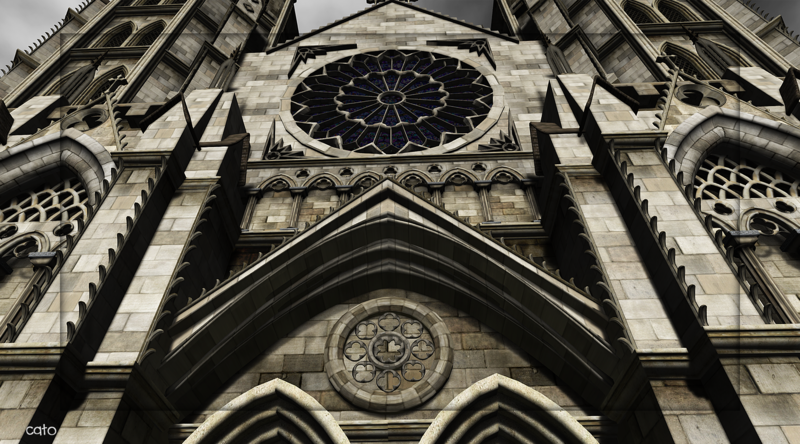 This building is so huge and detailed, it is near impossible to get it on one picture – but I tried! Even if you are not into the Medieval theme, and you are not interested in buying it, still: go visit this place and be amazed! Oh and don’t forget to have a look inside the St. Illuminatios, it is breathtaking! 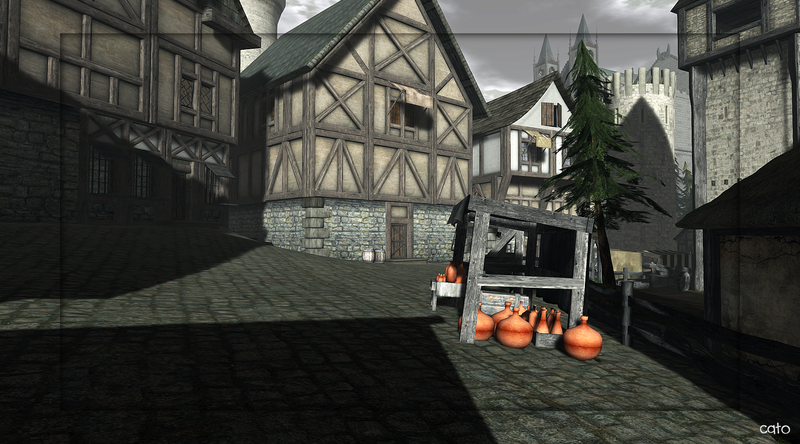 Note: since everything is for sale, I have de-rendered all vendors that are in front of the buildings, for these pictures :). Stunning again! I will visit, you are my destination guide.